In Western society, death is often a cause for sadness and quiet consideration. This has led to certain traditions becoming prevalent, such as the custom of wearing black and being somber at funerals, including having very simple and dull coffins. Of course, around the world traditions and customs differ significantly, with many cultures seeing a death as a way to celebrate the person’s life. This means that sometimes people are buried in far more elaborate coffins that might seem shocking to some people but are perfectly acceptable to others. 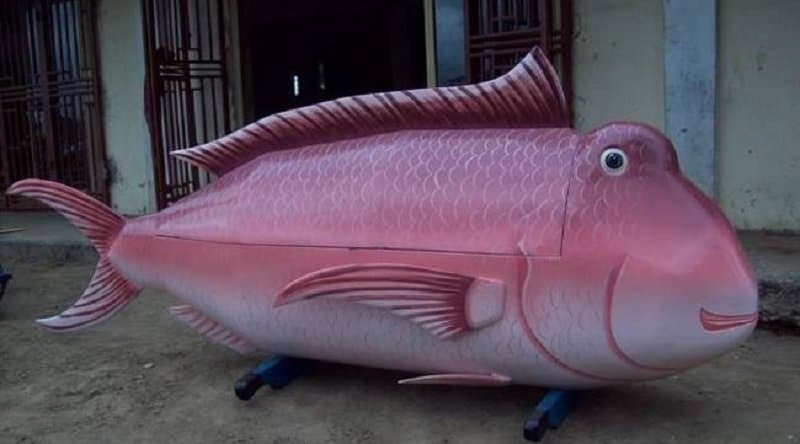 For those people who love fishing or had a burning desire to be buried within a giant fish, this is perfect choice. 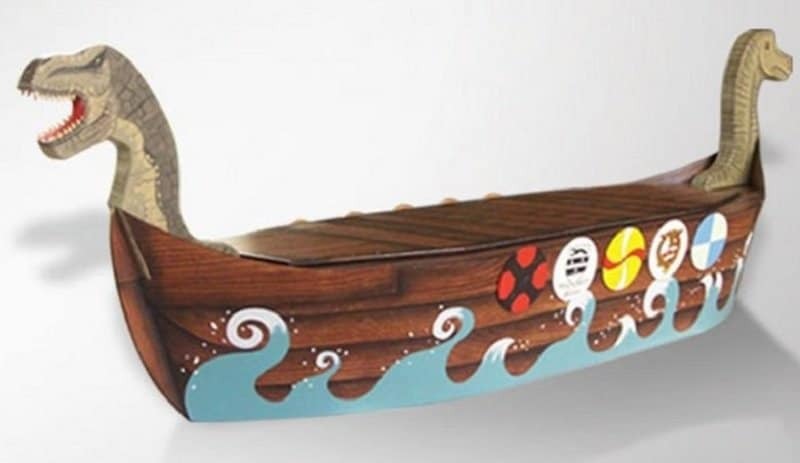 Because let’s be honest here — who doesn’t want to be buried in a coffin that is in the shape of a Viking longboat with the heads of dinosaurs at either side. 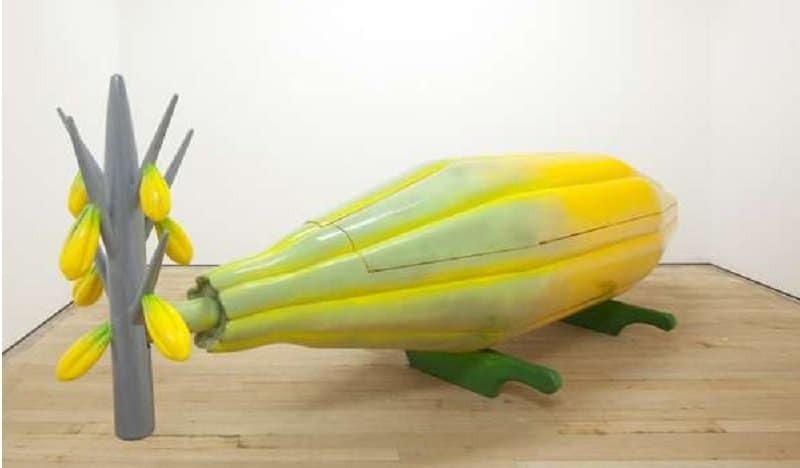 Especially created by a Ghanaian carpenter, this one-of-kind coffin was made for customers in the African country who take part in a tradition that involves highly colorful and distinctive coffins. 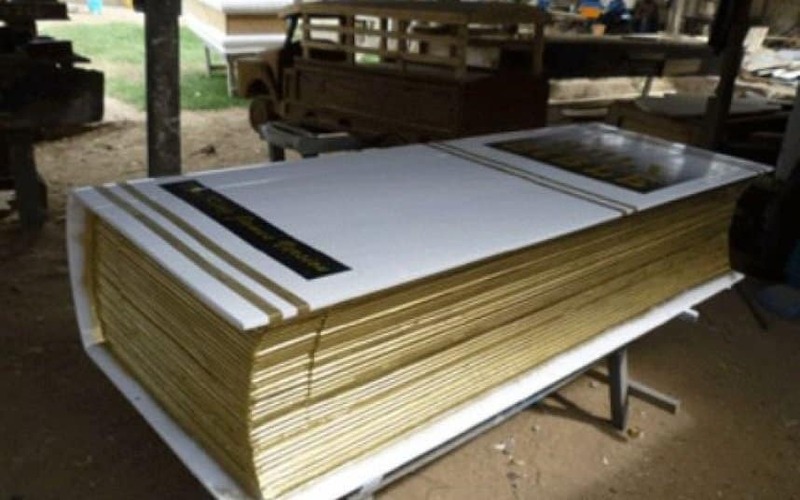 Even the most religious people on the planet probably wouldn’t want to be buried inside a giant bible, but obviously somebody really thought it was necessary. 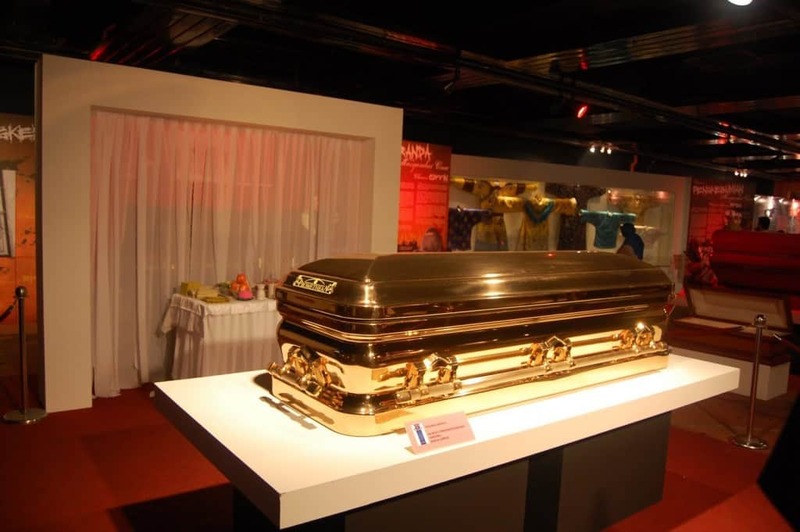 Those with expensive tastes might wish to be buried in a coffin like this, which is coated in the highest quality gold and features a number of jewels. 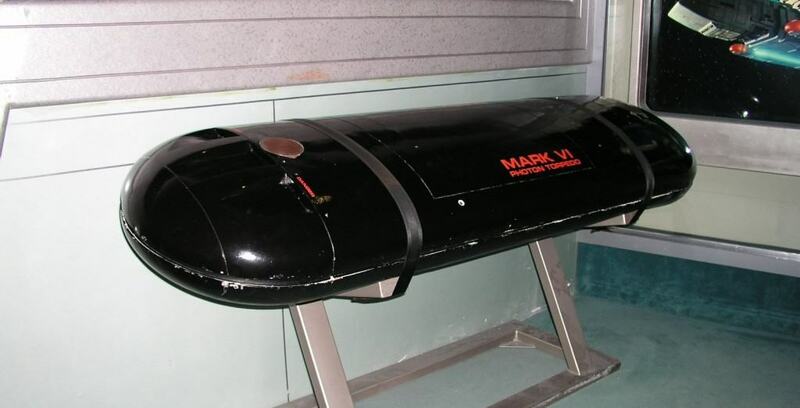 With this coffin, the deceased individual is placed inside the egg-shaped container in the fetal position and then planted in the ground. 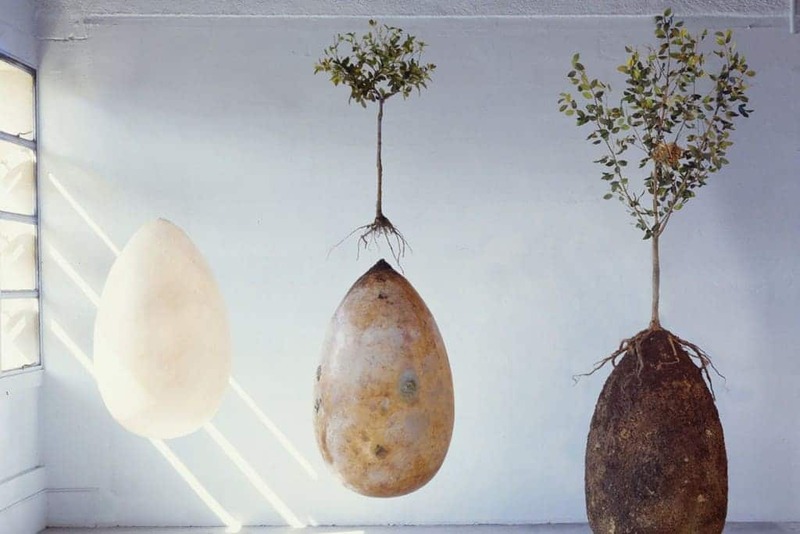 A tree is then placed on the surface to mark the grave, which is entirely environmentally friendly. 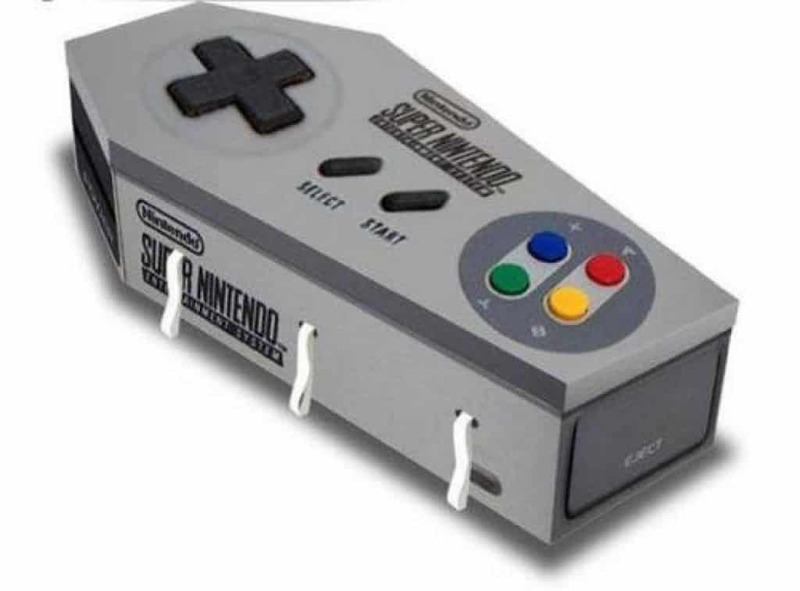 Any gamer and Nintendo fan will appreciate this coffin, which has been styled to replicate the controller for the retro Super Nintendo Entertainment System. Some Star Trek fans take their love of the franchise to extreme lengths, even learning languages such as Klingon. For such people it is possible to order a replica pod from the TV series to rest after they have passed away. 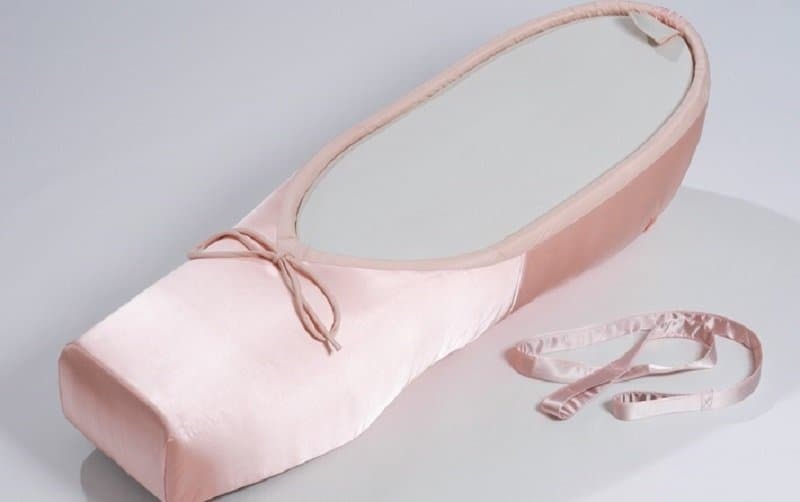 Perfect for those who love ballet and dancing, though it might draw a few odd glances. There are not many more stylish ways that you can shuffle off this mortal coil than in one of these coffins that come complete with wheels, headlights and a luxury interior.